The new Truckee Meadows Fire Protection District Station No. 35 serves the far western district of Reno, Nevada. In an effort to consolidate two existing emergency facilities, Fire Station No. 35 offers a central point of response for the growing community. 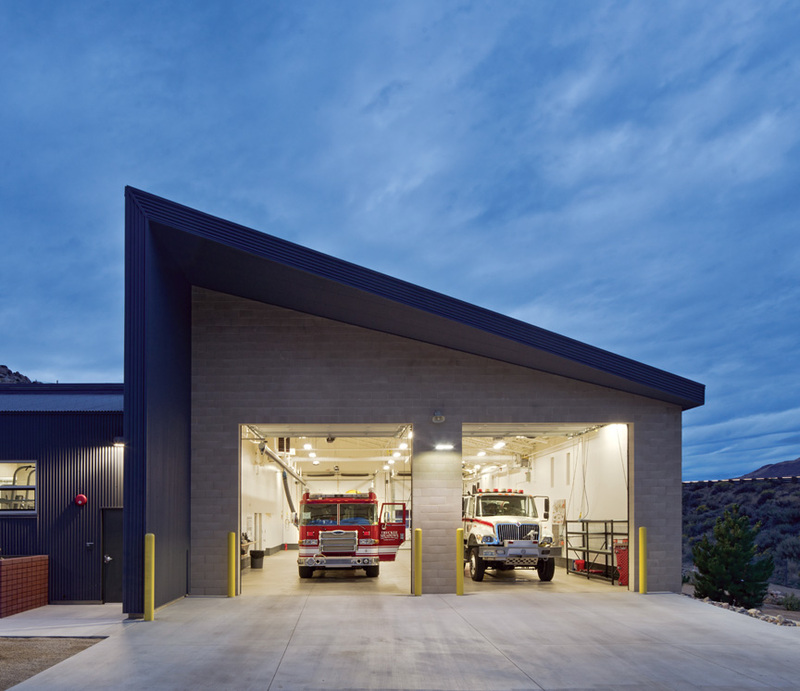 The fire station is sited to take advantage of existing landscaping that remains from a vintage ranch, with station set between existing cedar trees, apple trees, and Sierra granite outcroppings. The facility responds to the surrounding high desert context with materials that are both resilient and accentuate the warm color palette and texture of the typically dry surroundings. The masonry construction of the facility provides durability and anchors a critical resource in an area prone to wildfires. Portions of the CMU are clad in corrugated metal and secondary materials such as reclaimed wood are integrated as rain screen elements at public gathering spaces. The combination of materials recall previous long-standing ranch structures that once characterized the Washoe Valley. 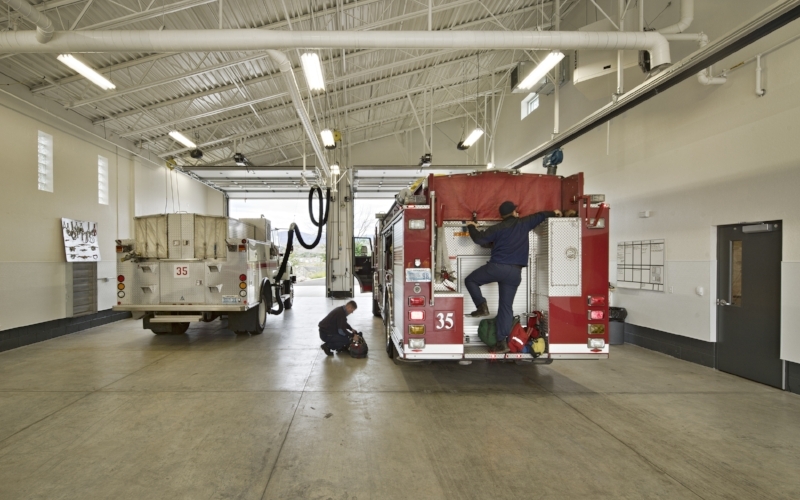 Functionally, the four firefighters per shift are housed within a facility that offers a variety of activity and relaxation zones and benefits from the apparatus bay as a privacy screen along the busy Interstate. Such zones include an exercise and training room, dayroom, kitchen with access to an exterior covered patio and an exterior seating area within an existing fruit orchard. Providing opportunities for these staff members to decompress and rejuvenate is important to the overall resiliency of the crew. Collectively, the architectural solutions seek to reinforce these efforts.